Louis Pasteur paved the road to our modern canned food with his research on pasteurizing milk. His method of heat treating milk “dramatically reduced the number of infant deaths, which was about 25% of children prior to pasteurization being adopted,” according to Guy Crosby, Ph.D.1. The route to safer eating had begun. An ardent scientist, Pasteur observed, “The more I study nature, the more I stand amazed at the work of the Creator. Science brings men nearer to God.” Those who work with food agree. After many years of experimenting, Pasteur described the role of microbes in spoilage. The original Food in Jars guy was Nicolas Appert, a Parisian confectioner and chef of the late 1700s. He dried, smoked, fermented or pickled food, but Appert disliked the flavors of these preserving methods. His belief that the presence of air led to spoilage was revolutionary, but not accurate. The microbes in the unsterilized air were the culprit. Nontheless, Appert developed a way preserve soups, veggies and juices. He placed food in glass jars which were sealed with wax, wrapped in canvas and boiled. Primitive, but a start. Winning an award from the French government, he earned the title of “Father of Canning.” Later Appert amended his beliefs and discovered that heat kept spoilage from advancing quickly. Fast forward to 1812 when the Englishman Brian Donkin substituted tin for glass and he built his first canning factory. Gail Borden adapted Donkin’s method in the United States and produced canned sweetened condensed milk, which is a staple even today on the grocery shelf. The downside to Borden’s milk was that the tin cans were handmade and took up to six hours to cook. 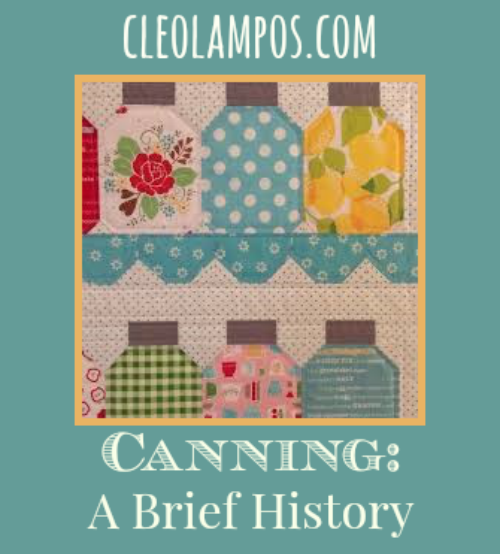 The birth of commercial canning grew slowly. The replacement of cook stoves over the traditional hearths revolutionized cooking. The new cast iron, free-standing stoves in the early 1800’s allowed waist-high, flexible cooking surfaces, less bending and lifting, little smoke and no ashes in food. This facilitated water bath canning for the average housewife, and, with a drop in the price of sugar, every household could produce jars of applesauce, tomato sauce and other delights for winter consumption. 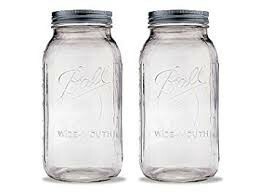 Ball Jar Company became the distributor of Mason jars. Low-acid vegetables and meat were still too dangerous to can until 1851. The invention of the pressure canner allowed cans and jars to be heated to over 220 degrees. This facilitated a wider variety of produce to be preserved including green beans, potatoes, and meat. Most farmers filled their pantries with the fruit of their labors. The hey-day of home canning began at the turn of the 20 th century and hit its peak in World War II with the Victory Gardens. Millions of pressure cookers sold to housewives frantic to help with the war effort created a boom in home preserving as well as in community canning centers. The emphasis placed upon producing food from seed to jar. After the war, supermarkets proliferated and industrial goods provided cheap and convenient alternatives to home canning. For half a century, Americans allowed the knowledge of self-sufficiency to languish. During the last decade, the rise of urban gardening by the younger generation is greening the asphalt jungle. With surplus harvest, canning is making a revival among these organic foodies. A few weeks ago, my husband brought in a bushel of beets. We invited a young man, Dave, to our basement canning kitchen to help with the pickling and canning of these red beauties. I introduced him to the recipe in the Ball Book of Canning as our guide. Dave dived right in and moved the process smoothly to completion, including the snapping sounds of sealed lids. The grin on Dave face and the crimson stains on his hands warmed my heart. Another suburbanite converted to home canning! Cleo Lampos and her husband are Urban Farmers, certified by the University of Illionois Agricultural Extension Department. They contribute to a community garden as well as produce and can from their own urban garden. Lampos is the author of Cultivating Wildflowers, a novel about a Chicago teacher bring a group of summer school students into the green spots of Chicago. Ball Canning Company, Borden Evaporated Milk, Brian Donkin, canning, Father of Canning, Gail Borden, John L. Mason, Louis Pasteur, Nicolas Appert. Bookmark. Wow! 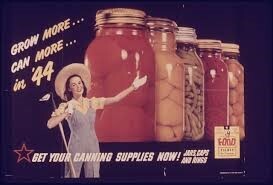 I never realized that canning could be so interesting. I’ve always been afraid of canning because I might make a mistake. Looks as though these matters have been well thought out by now. You make it sound exciting. 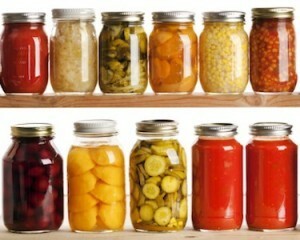 Canning can be a relaxing way to spend the summer, and then enjoy the winter.